I meet Dr. Davis through the Internet like I have meet many of my peers. Dr. Davis is a early adopter (America) of Tenkara and contributes to the community through his writing on Tenkara at his web site http://tetontenkara.blogspot.com and by contributing to other web sites like this one. I’ve asked Dr. Davis for an Interview because of all the work he has done for our community. He has the most comprehensive evaluation of Tenkara rod actions that I have found on the Internet. I have referenced it more than a few times for “at a glance” of the rod characteristics. His videos reflect an interest in the latest offerings of the different companies that serve our community and more than likely, if it is relative to Tenkara, Tom has reviewed it. Adam: I want to cut to the chase first. Dr. Davis, my formality to you comes from a career in medicine; I have not meet you however this is my first “formal” meeting and addressing you in print. I have seen some of your exchanges with other Tenkara anglers with your first name. Tom Davis: Yes, please. Call me Tom. Adam: My apologies, I do this with a large percentage of the Interviews that I do. I respect an education even though I do not have a degree. My long career in cardiovascular medicine (surgery and University setting) has my respect for the level of education and experience that a physician has. I am hard-wired to respect the perseverance in education and experience. Tom Davis: I am a gastroenterologist practicing in southeast Idaho. I went to medical school in southern California, did internal medicine residency in Portland, Oregon and gastroenterology/hepatology fellowship in Denver, Colorado. My training was university based with emphasis on hepatobiliary diseases and liver transplantation. I am a senior partner of a gastroenterology group where I am the special procedures physician, performing complicated gastrointestinal procedures such as ERCP, enteral stent placement, endoscopic mucosal resection, etc. Adam: Your education has taught you a way of looking at a problem and solving it through a methodical and evidence based approach. Tom Davis: Tenkara is one of my escapes from the stresses and burdens of modern medical practice. As a physician, I have been trained to approach challenges in an analytical manner. 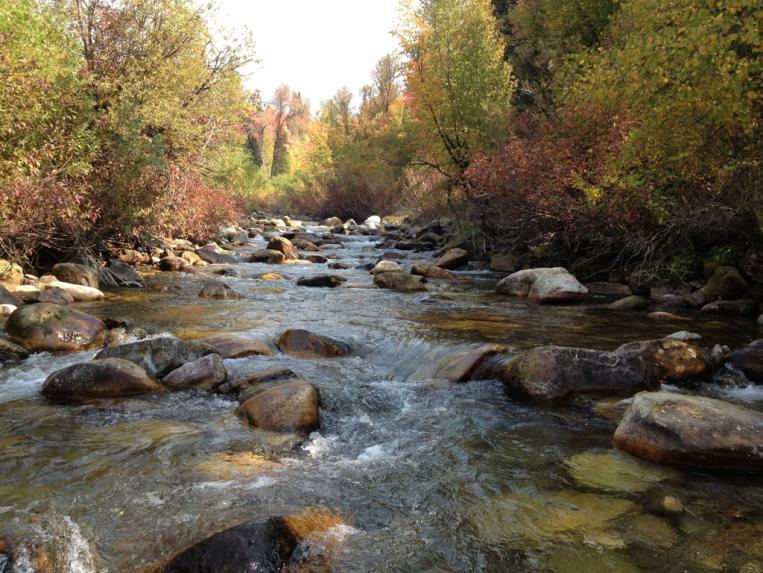 Tenkara fishing can be relaxing, but it can also be challenging. I approach tenkara challenges the same way I approach medical ones, by studying the issue, collecting data, analyzing the data and generating a hypothesis. One nice thing about tenkara challenges versus medical ones is that making mistakes fishing rarely puts anyone at risk, while making medical mistakes can kill! Adam: I understand that you did some commercial tying. I’ve spent some time with some commercial tiers. They are FAST! Motion economy founded in repetition. I was taught to tie by a young man that tied dozens upon dozens of the same fly and the first one look liked the 500th pattern. The vice shined up where the fingers rest. The scissors always in the hand and on a personal level, the desk got messy and the fly box got filled, fast. Tom Davis: I learned to tie flies when I was in the 7th grade. Believe it or not, it was a class in school. Soon thereafter I took weekly private lessons from an elderly man in my home town. From this exposure early in my life I grew to love tying flies. When I was in medical school I wrote and published an anatomy/physiology software program which covered all the systems of the body. This was mentally exhausting and so when I finished I needed some other path to clear my mind. I therefore contracted with numerous fly shops in Montana to tie flies. I would tie 10-20 dozen of a specific pattern and hook size that was requested by the shop. Sometimes I would have orders for several hundred flies. It paid OK (the faster you tied the better the pay), but it was a mainly a relief from my medical school stresses -- turn off brain and shift into auto mode to tie for a few hours. At my best, I could generate almost any standard pattern in 60 seconds or less. 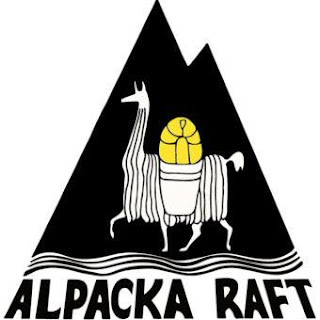 Adam: I’m always amazed at the different jobs in the fly fishing industry. You have spent some time in it and have observed it from the inside and out. I’m pretty sure you understand the dynamics of it. Tom Davis: I've been away from commercial fly tying for several decades. Still, I see tenkara following a common trajectory as with western fly fishing. 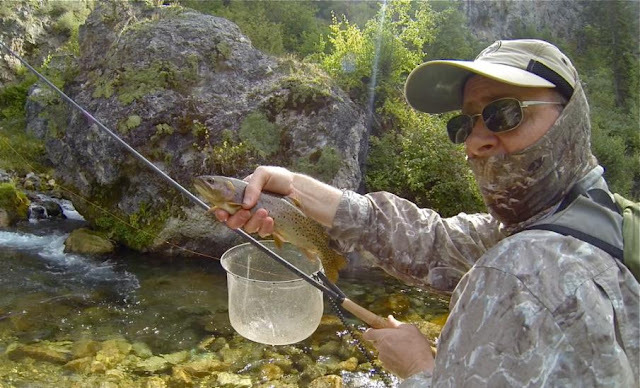 At first tenkara was an unknown entity that piqued interest in a few fly fishers. Then it became a specialized segment of fly fishing, with some enthusiast touting it's virtues. Now it is becoming a commercial opportunity for many and is an equipment "gold rush" with new tenkara companies starting up monthly, flooding the market with "me to" products. Soon, it will plateau and reach equilibrium. There will be those companies that have great products and service that will survive, and those that won't. Adam: I’ve seen this before in Skiing. I started out as a skier in the 70’s and by the end of the decade, I was snow surfing (snowboarding) as an early enthusiast. At first snow surfing was a way fringe aspect. We were not even recognized by the ski areas. We sometimes used the runs to get to off piste areas or gulleys where we hiked up and surfed the natural powder half pipe valley emulating surfing. Season after season we spread the sport through our photographs and magazine articles. It grew grass roots way before the Internet. Then the ski areas began to sell us lift tickets and that is where snowboarding began to become mainstream and the money augmented the industry positively. Tom Davis: I think tenkara will be common place and well known by most all those who are interested in fly fishing. I don't think every one will be doing it, but I think that it will be a well known and main stream method of fly fishing. I anticipate that major fly shops, fly fishing catalogs, and fly fishing outfitters will all offer tenkara gear and support. Adam: It’s a dumb question but I want to ask it to a few select people and look back and see what we thought in comparison to what happened. Your Interview will be a part of a book that I’m putting together along with the other Interviews. Tenkara is alive and dynamic. For me, Tenkara is more about people than the fishing. Of course you must have a rod, line and fly but in that simplicity is where the people come in. Tenkara is open to interpretation; there is more room to explore your style and approach. Through my study of old and new books and speaking with anglers on Tenkara from it’s country of origin, I’ve seen all the different types of rods, lines and flys, the different techniques that are talked about as “American” are really just Tenkara. Patagonia’s “Simple Fly Fishing” type of Tenkara is detailed in more than a couple of different Japanese author’s books. A cut fly line or a shooting line being used on a Tenkara rod is not that rare in Japan or America. The guys that furl lines, well, there are all kinds of lines used for Tenkara in Japan for the same techniques there are done here. In Japan, they have had a lot more time and experience behind them. 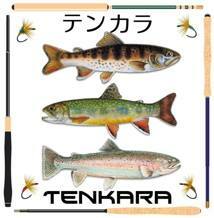 America and now the world is joining in, infusing new energy and enthusiasm into the mix of what Tenkara is now globally. Dr. Ishigaki and his Level Line school of Tenkara) is the most advancing aspect of Tenkara. It takes all the attributes of the rod, the ultra light presentation of a light level line, the minimalistic simplicity of an Ishigaki or Sakasa Kebari and maximizes the whole system for stealth. It is this part of the community that is pushing forward all the attributes of the system; it’s where I find the most advancement in Tenkara. Sebata-san embodies the whole of mountain stream fishing in his Tenkara style. There are so many types of anglers that use the system of rod, line fly and personalize it as they see fit. For me, it’s more about people than the elements that make it up. Tom Davis: For me, tenkara is a highly effective way of fly fishing that is very relaxing, productive and beautiful. It attracts a subset of fly fishers who gravitate towards simplicity and conservation of energy. They like to catch fish with a minimalist approach yet appreciate the challenge of perfecting one particular set of skills. 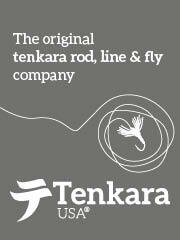 Tenkara embodies all that is good in traditional fly fishing, but has none of the burden or background noise. It emphasizes enjoying the experience, simplifying the gear, and honing your skills. It's more pure, more fun, more fulfilling, and more effective than traditional fly fishing -- at least to me. When people start to talk about fishing as religion, I’m out of there. I go fishing to relax. The streams I choose run through beautiful forests. The sound of the stream, the color of the scene, the wind in the tops of the trees, the sky, clouds and the effort it takes to fish up the mountain all contribute to silencing my busy mind. Taking my boys fishing is one of my favorite things to do in the world. But I prefer to fish alone. Not that I want to be away from my boys, nothing like that, they just don’t want to go as much as I do. I fish with a couple of partners, not really friends but people that like to fish like I do or want to share it with me then they go about their way until they want to share it again. Tom Davis: I fish to reset my priorities and my view of life and nature. It brings me peace and joy. It's not a religion to me, I already have that in my life, but tenkara helps keep me grounded. Like so many of us, I love the sound of the wind in the trees, the smell of the earth, and the feel of water. These are like a filter that clean away the stresses of my day. I know that on a daily basis I can do things that can cause serious pain, suffering and even death to people who have entrusted their lives to me. Tenkara helps me reset and appreciate the simple things of life. It helps put my life back into balance. I generally fish alone. Fishing alone lets me go where I want, at my own pace. However, I have fished with others, such as John Vetterli and Erik Ostrander, and have enjoyed it. I would like to do that a little more, such as fish Arizona with you, fish the Owyhee with Paul Gibson, fish Colorado with Daniel Galhardo, Jason Klass and/or Paul Vertrees, fish for eastern brook trout with Anthony Naples and Chris Stewart ... there are so many others. Adam: Let’s talk about Tenkara rods. My background is a long life of fly fishing lite line rods. Curiosity about the dynamics of casting started me building rods out of components to fit my style and then on to making bamboo rods from raw materials so that I could create my own tapers to fit my desired style of casting. It’s a passion of mine that was pushed aside for the perfection of a Tenkara rod and its effectiveness. Every time I pick up a new rod, I’m tearing it apart trying to figure it out. What part of the rod is working for this kind of cast? What does it excel at? 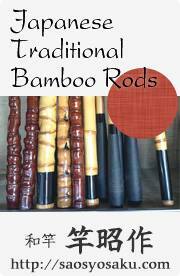 I look at rods wearing a couple of different hats; from a fisherman’s point of view and also from a design standpoint. A Tenkara rod with its telescoping configuration is complex. The joints come into play; the design of the nesting state of the rod affects the cast too. There is a lot going on and the design of a Tenkara rod is interesting to me. Tom Davis: I've always been a gear head. As my children have told me, I am a "collector of fine outdoor equipment". Yet I also don't take many things a face value. I love to test and try out new gear. I try to do this testing responsibly and share what I have learned. I have learned a lot from others and I try to give back. Adam: I enjoy the process of research about Tenkara. I like the whole of it. From the fishing itself to the people that practice it and the history of it in the country it came from. I would like to redirect our attention in order to show the reader some more of your interests. I understand you are an astronomer. So is my son. Not sure how I came to know that you are but my trying to take a photo through my son’s telescope with my iPhone comes to mind. Tom Davis: I received my first telescope when I was eight. It was a sad piece of equipment by today's standards, but it was good enough to spark an interest in astronomy. Later in life I desired to image deep sky objects, such as nebulae, galaxies, star clusters, etc. I have had two different robotic observatories over the years. One is at my home in the mountains of southeastern Idaho and the other was in the Australian outback 300 km north east of Adelaide, South Australia. Using these, I have imaged hundreds of objects and published in scholarly journals, text books, magazines, etc. I have also been able to give conference presentations to astroimagers from around the world. Over the years I have had thirteen images published by NASA on Astronomy Picture of the Day, a highly respected astronomy education forum. My main interest is imaging dusty reflection nebulae that have not been previously imaged in color. 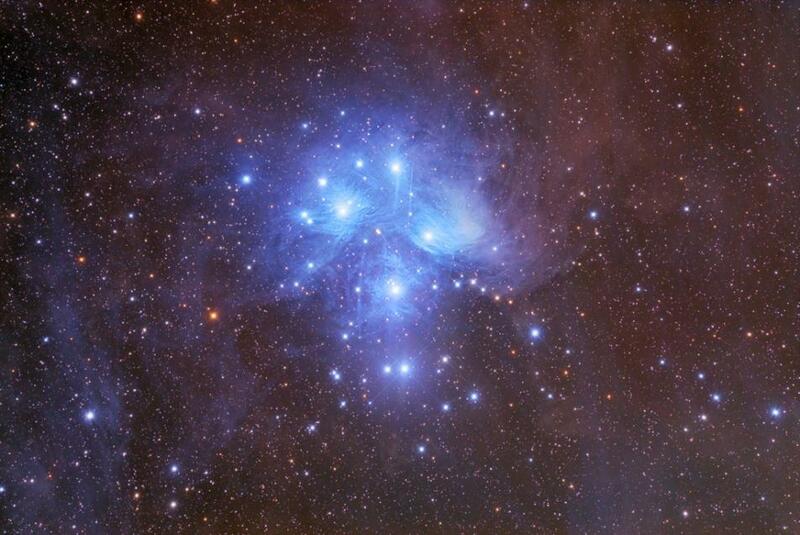 I also assist the physics department at BYU-Idaho in their astronomy research and observatory. My astronomy image website is www.tvdavisastropics.com. How in the world am I going to bring it back down to earth (Tenkara) after that? I used to buy a Farmer’s Almanac every year. I’ve gotten away from it for scientific reasons but the Almanac has been somewhat accurate as far as seasonal patterns go. I’ve looked at “Best Fishing Days” and that sort of stuff in there, my GPS has hunting and fishing day ratings but for me, the only direct correlation I see as far as researching data for fishing goes is a tide chart for salt water beach and inshore fishing. Tom Davis: Not for me. With tenkara I fish whenever I want, irregardless of time of day, phase of the moon, weather, and I catch fish! Tom Davis: I prefer moderate to high gradient mountain freestone streams (Rosgen Aa+, A, B) with pocket water. I prefer to fish from 11 AM to 3 PM. This goes against most fly fishing convention, but it works for me. 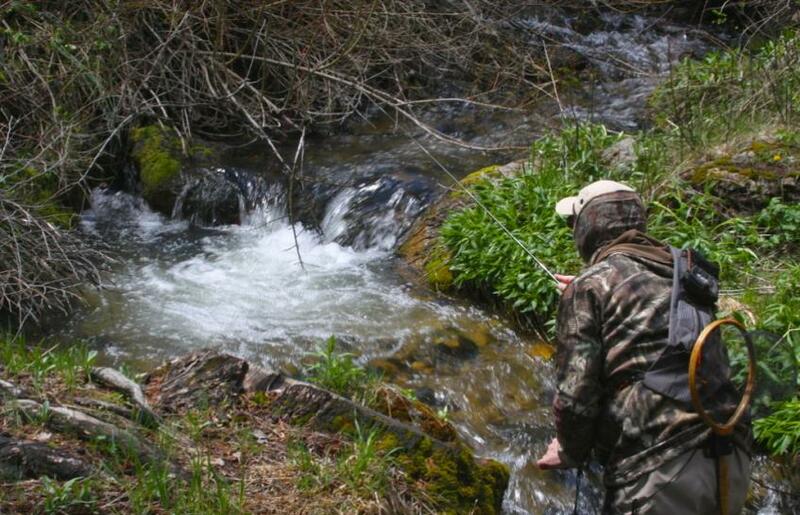 The small mountain stream with wild, native cutthroat trout is my passion. I love hiking off trail, cross country, to reach and fish these streams. Adam: I don’t think a trip to Japan is necessary to have a high level of understanding of Tenkara. We have good equipment, there is a lot of information on the techniques and although there are still many Tenkara experts in Japan that have not seen the world Tenkara stage, I do believe we have a good grasp of what it is. Tom Davis: I don't have any plans on traveling to Japan at this time. I'm a poor flyer, don't drink alcohol, don't care for Japanese cuisine, and I don't do well in large crowds-- in other words, I'm sort of home body and boring! However, if I could choose a place to go and fish it would be either Alaska or Scandinavia. Both have great tenkara opportunities for grayling, sea trout, and native browns. I have two sons-in law from Alaska, so maybe I'll get up there some day. Adam: Dr. Davis, it has been my pleasure to think about you and your practice of Tenkara for this Interview. 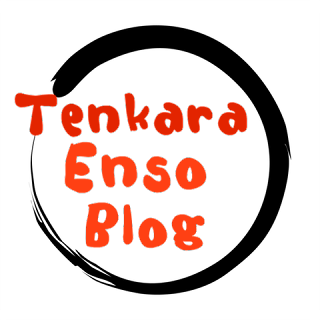 I appreciate what you are doing for our community and I enjoy reading your web site www.TetonTenkara.blogspot.com I want to publicly acknowledge your contribution at my own web site and pay tribute to your enthusiasm and generosity. Tom Davis: Adam, thank you for the opportunity to share some of my views on what tenkara means to me. I appreciate the opportunity to learn from so many, such as yourself, and I hope that I am able to give back to the tenkara community of what I have learned. Fly fishers approach tenkara with different goals and skills. If we all share, in an open and equitable forum, we can learn and benefit from other's experiences, and at the same time make friends from around the world. Thanks again.